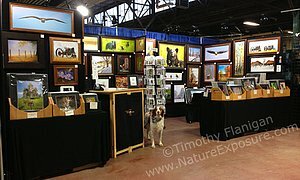 Pixel is the official greeter at the Nature Exposure booth. The following are upcoming calendar dates and locations where we will be exhibiting. Dates Show Name Location More Info. PGC Visitor's Center, Kleinfeltersville, PA. Dates Seminar Name Location Other Info. "Grouse Natural History" and "Intro to Nature Photography"
Dates Subjects Location Other Info.